The AFP provides 16 major news services, which are verified and broadcast in real time. 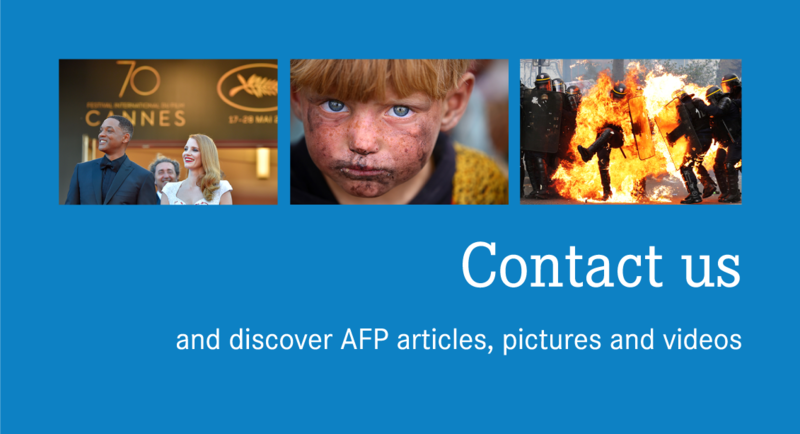 Thanks to its international network and editorial expertise, the AFP is able to provide high quality text services to press, audiovisual, mobile and online news professionals. Stories delivered in XML format Metadata for optimal integration. The AFP’s text services provide everything from breaking news to features, reports, interviews and profiles. All news categories are covered, with a particular focus on politics, economics, sport and social issues. All stories are subject to our rigorous rules on verification, contextualisation and perspective. AFP journalists on the ground in France and around the world, at times of war and peace, constantly strive to meet the expectations of news professionals in terms of speed and reliability. AFP covers both international and regional news. This is why every text service has its own specific regional identity combining world news and news from the continent and area where it is based. AFP’s text services regularly publish editorial calendars and memos that enable our customers to plan news coverage. Regional agendas list major events scheduled to take place the following day, week and month. Detailed regional coverage forecasts are also updated and made available several times per day. AFP’s network is present in 150 countries throughout the world. The Agency has some 2,200 employees, of 80 different nationalities who keep constant watch on developments, from a multicultural perspective. The responsiveness of the Agency’s network means that teams can be moved quickly to global hotspots. AFP’s text products can be used either via access to the complete content of one or more services, or via a category based selection in one or more languages, according to client needs. AFP’s text services are covered by a global news reporting policy, which also includes the photo, video, graphics and multimedia services. Metadata: keywords, IPTC, financial codes. All AFP stories contain themed keywords describing the key news points, along with IPTC tag names. Stories covering listed companies include the company’s stock market value code. Prime Minister Narendra Modi cast his vote on India's "Super Tuesday" when the biggest number of seats are decided in the country's marathon election. Dissident republican group the New IRA on Tuesday admitted responsibility for killing Northern Irish journalist Lyra McKee last week as police said they had arrested a 57-year-old woman in connection with the shooting. Despite the war on Tripoli's doorstep, residents are filling the salons and cafes in some quarters of the Libyan capital as they carry on as best they can. The World Jewish Congress has condemned a Polish town after reports that residents hung and burnt an effigy "made to look like a stereotypical Jew" in a revival of an old Easter tradition. Around half of Americans favor religion playing a greater role in US society, while 18 percent oppose that idea, according to a Pew Research Center study published Monday. Special counsel Robert Mueller's report on Russian interference in the 2016 election is topping the Amazon best-seller charts. French Catholics on Sunday celebrated Easter mass in Paris in the shadow of the badly burned Notre-Dame Cathedral, praying that the landmark monument -- and along with it the entire Catholic Church -- can be renewed. Kobra Samim, who rides for Afghanistan's national cycling team, wrote on Facebook that women's participation in sport is her "red line" as the US tries to forge a peace deal with the Taliban. Forget how many carats -- how ethical is your gold? As high-end consumers demand to know the origin of their treasures, some jewellers are ensuring they use responsibly sourced, eco-friendly or recycled gold. Hunting rifles, pistols and towers of ammunition magazines: new gun shops are popping up in Iraq's Mosul, where residents are keen to own personal firearms in the unpredictable aftermath of jihadist rule. Two Saudis vent their opinions publicly. One is detained, the other is acquitted after the right to free speech is invoked. Such inconsistencies are provoking confusion over the kingdom's ever-shifting "red lines". A Buddhist monk fishes out a vial of cannabis oil from his robe and puts a drop under his tongue -- one of many people flocking to a weed festival in northeastern Thailand, where excitement is building over a medical marijuana boom.